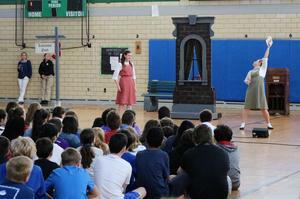 Thanks to a grant from the Westfield Foundation, the ArtsPower National Touring Theatre performed "My Heart in a Suitcase" for students at Edison and Roosevelt Intermediate Schools, based on an autobiography by Anne Lehmann Fox who was among 10,000 Jewish children living in Nazi-occupied countries permitted to leave their homes in 1938 and 1939 via the Kindertransport to find safe haven in England. 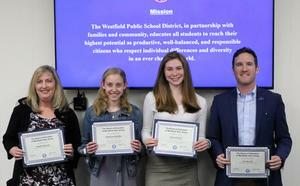 here is no shortage of civic-mindedness in Westfield Public Schools and Community Service Week was no exception. 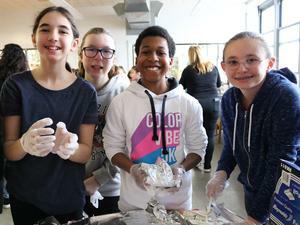 Through the coordinated efforts of school Parent Teacher Organizations, students across the district packed lunches, designed greeting cards, made care packages, picked up litter, and participated in many other activities as a way of giving back to those in need. 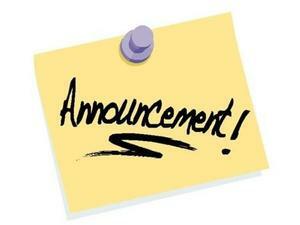 It was 1942 in German-occupied Poland. Hundreds of thousands of Jewish people had been forced to leave their homes and live in the Warsaw Ghetto, enduring starvation and other deprivations. As rumors of mass deportation of Jews to Nazi death camps began to circulate among ghetto residents, Judy Reifer’s parents made a heart-wrenching, yet lifesaving, decision. 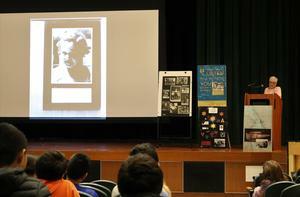 Read more about Mrs. Reifer's recent compelling presentation to Edison 8th graders.